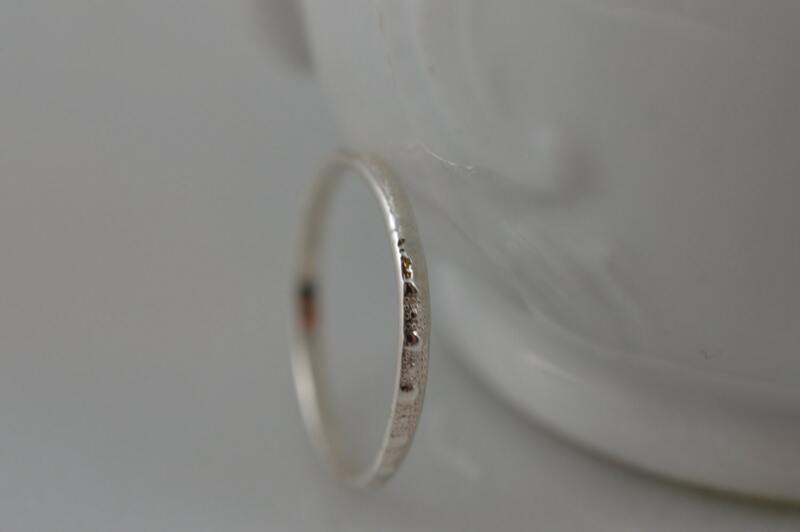 This skinny sterling silver stacking ring has tons of spots and dots that make it sparkle! 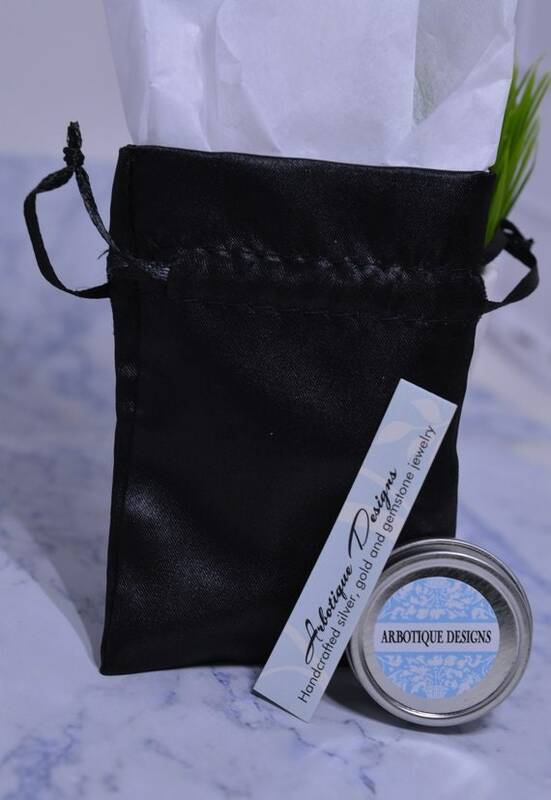 It's simple, modern design means it will match anything in your closet. 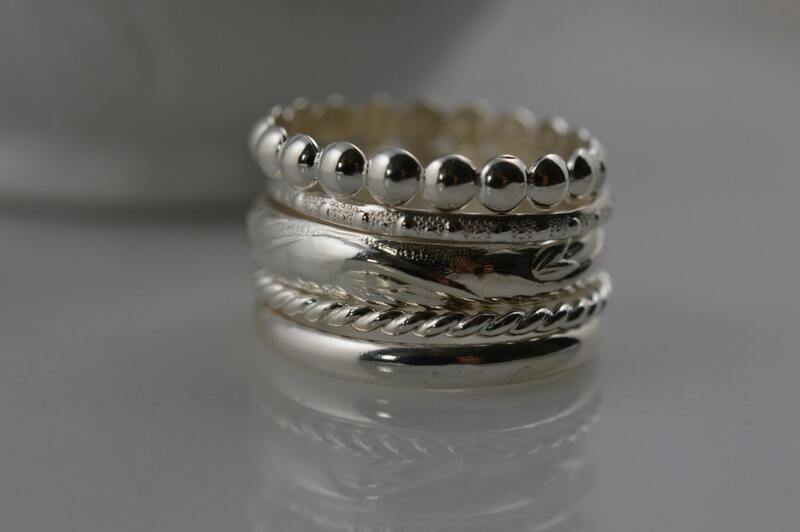 Wear it by itself or stack it with my other silver rings (shown in the last picture)! 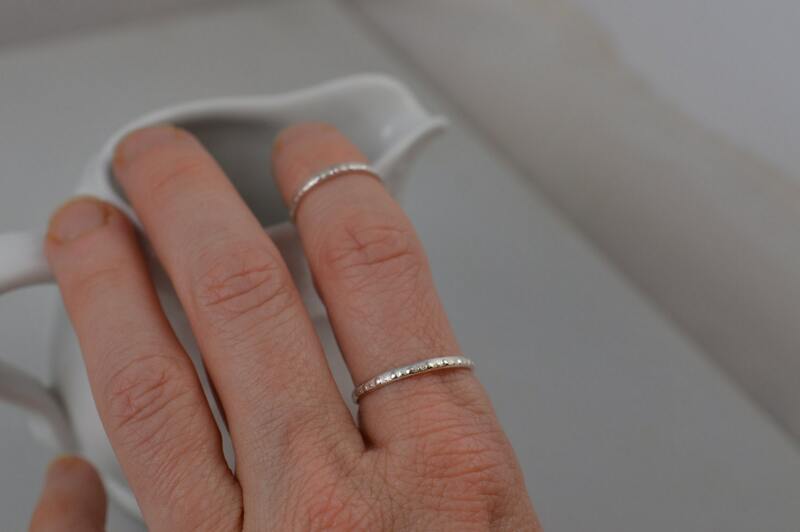 The thin design makes it perfect as a modern midi (knuckle) ring. 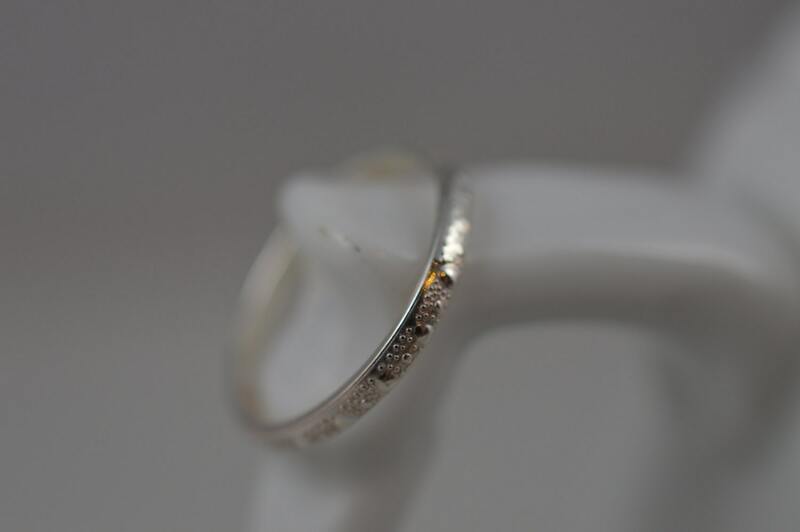 I hand form, fire and polish this ring before tumbling it for hours to make it extra durable (and shiny!) Ring is available in half and whole sizes from 2-12.